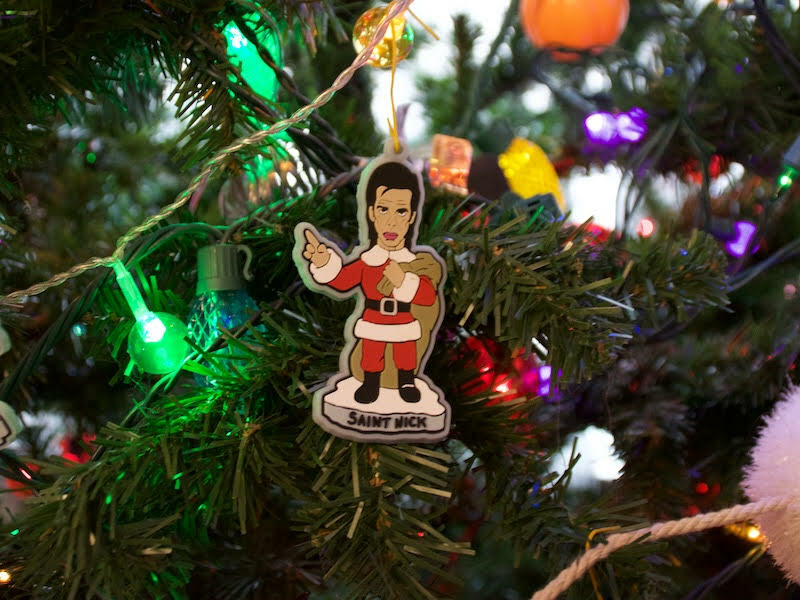 Jack makes a fine ornament on any tree. Published Dec. 24, 2018 at 11:15 a.m. Tradition is as much a part of Christmas as chocolate and wrapping paper, but sometimes breaking from tradition – or putting a twist on an old one – adds freshness and fun to familiar festivities. Themed Christmas trees fall into this category. Collecting ornaments around a motif can be a tradition of its own – or having a theme tree as a second or third tree musters the merriest of both yuletide decor worlds. Milwaukee's Sara Risley might hold the local theme-trees record with an impressive six in her Third Ward condominium. 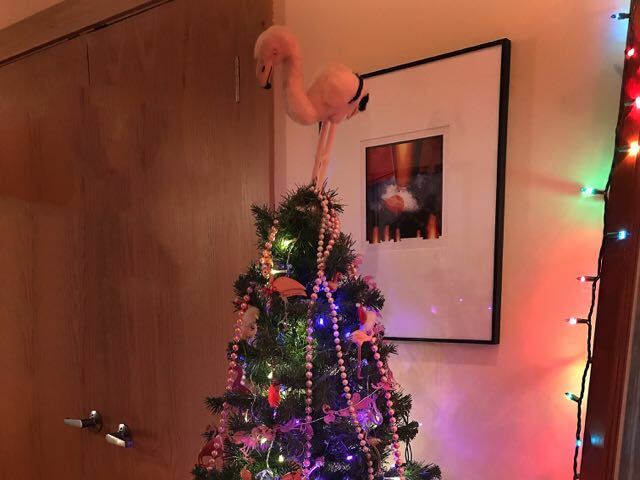 Risley, an artist, has a travel tree ("key chains from vacations make cheap ornaments," she says); pink flamingo tree; angel tree; beach tree and a traditional family tree that includes the star from her parents' first tree, a dried gourd ornament she made at the Y as a child, a tree skirt made by her dad and three snowmen knitted by her mother. 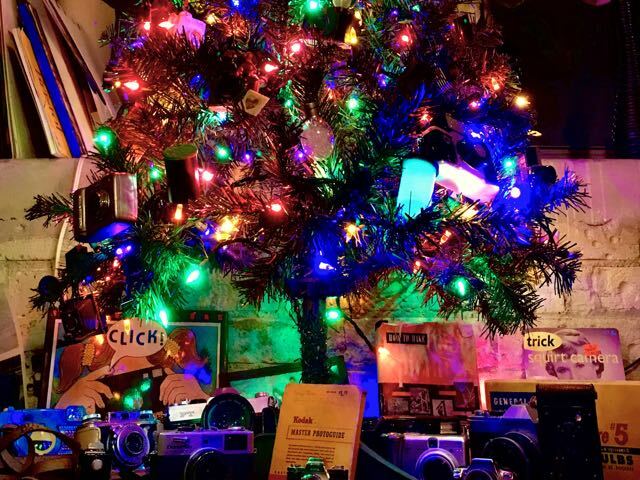 "My photography tree features my old cameras, my dad's old cameras and a box of 126 film as the topper," says Risley. "And my beach tree has a real seahorse that my mom found on the beach long ago." 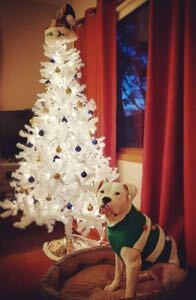 Lori and Dean LaGrow had a pop culture tree for years, but the addition of a new playful cat, Gilligan, made them have to modify to a new wave musician motif with fewer and more durable ornaments. 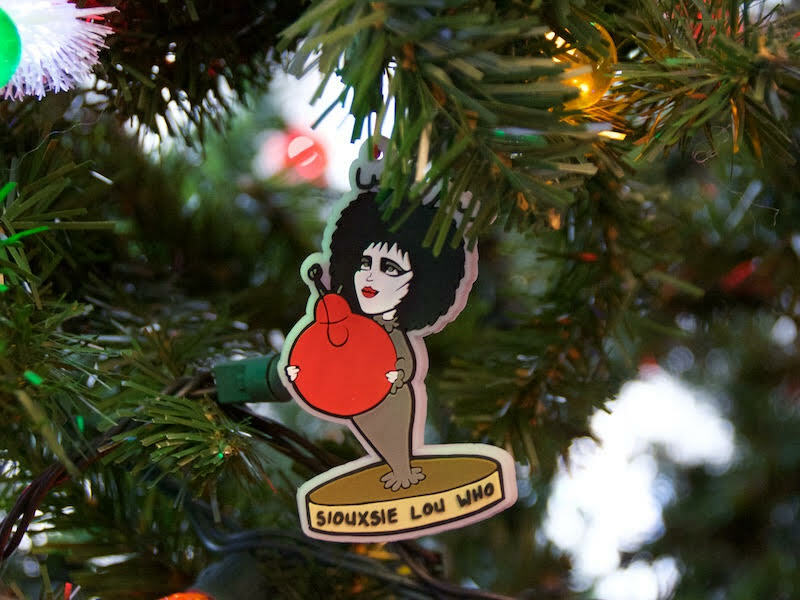 Hence, St. Nick Cave, Siouxsie Lou Who and Skate Bush add an air of cool yule to their tree. "We have fun with it," says LaGrow. 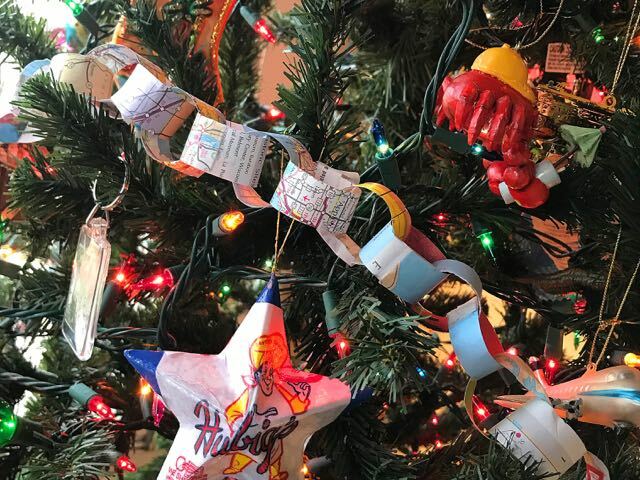 Jeff Kilsdonk's Brewers tree with blue and gold ornaments on a white tree is an annual tradition and Jennie Brand has a Wisconsin-themed tree – which includes the popular pickle ornament. "The pickle and the red pepper ornaments are for proper South Side representation," says Brand. 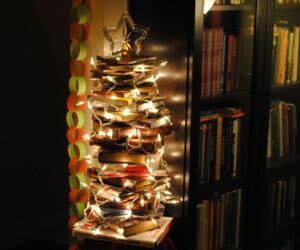 In 2012, my family and I created a "Bookmas Tree" (an idea we stole from the Internet) that we adored so much that we left it up for at least a year. 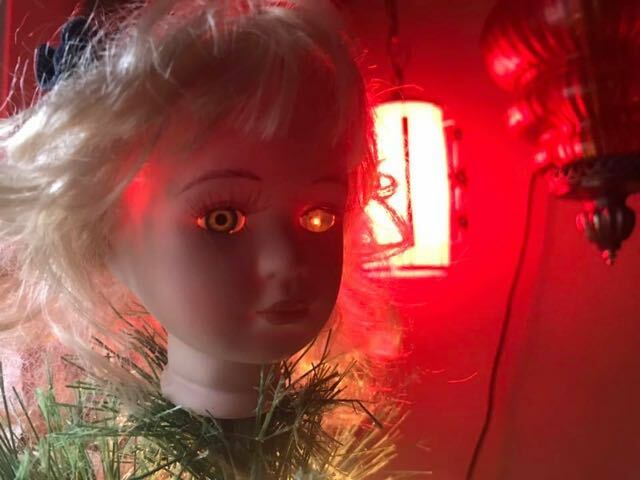 And since 2014, we've taken our penchant for the peculiar to a pine-ier place with our "creepy Christmas tree." It all began when my friend, Denise, gave us a few creepy clown ornaments that I believe she junk-picked and the idea was born. 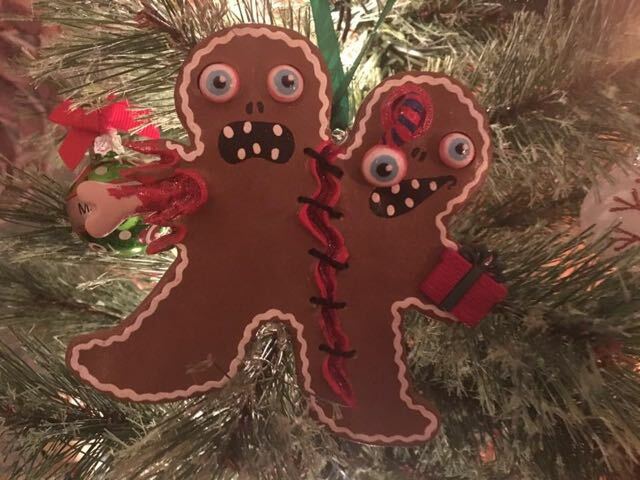 We have about 12 ornaments so far, mostly handmade and acquired through Etsy, including eyeballs, gruesomely conjoined gingerbread twins, a one-eyed teddy bear that I'm pretty sure is going to kill us while we are sleeping and an illuminated doll head topper. But however you decorate for the holidays, enjoy the warm, comforting and creative sights of Christmas. Merry merry, Milwaukee.